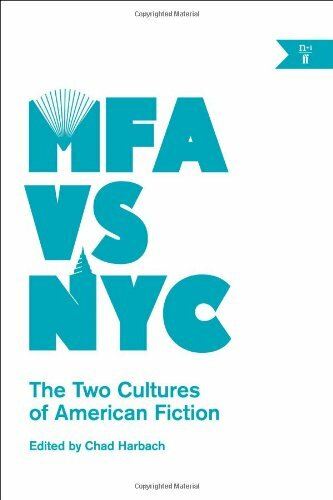 "MFA vs. NYC: The Two Cultures of American Fiction is not just a how-to for writers, it’s an examination of the relationship between the two interwoven forces in American literature. Essays by MFA professors and students, as well as those working in New York’s publishing industry argue what it takes and what it means to be a writing today — is an MFA necessary? how can a writer define “success”? is it possible to avoid the institutionalization of creative writing, or is it inevitable to fall into it? — and those are important questions not just for writers but for anyone who reads." Section New Titles - Paperback / Writing Style And Publishing / All Staff Suggestions / Non-Fiction Suggestions / Nathalie K.
Writers write—but what do they do for money? In a widely read essay entitled “MFA vs NYC,” bestselling novelist Chad Harbach (The Art of Fielding) argued that the American literary scene has split into two cultures: New York publishing versus university MFA programs. This book brings together established writers, MFA professors and students, and New York editors, publicists, and agents to talk about these overlapping worlds, and the ways writers make (or fail to make) a living within them. Should you seek an advanced degree, or will workshops smother your style? Do you need to move to New York, or will the high cost of living undo you? What’s worse—having a day job or not having health insurance? How do agents decide what to represent? Will Big Publishing survive? How has the rise of MFA programs affected American fiction? The expert contributors, including George Saunders, Elif Batuman, and Fredric Jameson, consider all these questions and more, with humor and rigor. MFA vs NYC is a must-read for aspiring writers, and for anyone interested in the present and future of American letters.